Heritage Hotel is ideally located along coastal Road 18 and just 3 minutes walking distance to Bai Chay Beach - Halong City . The sun-lover's paradise beach with panoramic view of magnificent Ha Long Bay. 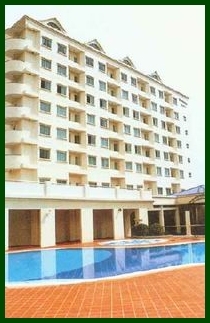 The Hotel has swimming pool with a total sitting area of 140 square meters. 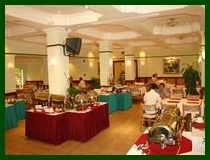 Many functions like BBQ and buffet dinner are held here, the seating capacity with a buffet station is 70 persons. Cultural shows are available on request. A well-trained and friendly group of charming masseuse to provide traditional Thai or Vietnamese massage. A variety of Asian, western and local cuisine make our hotel an easy choice for clients when it comes to dining and entertaining. You may choose from a casual yet lively atmosphere in our Le Cafe which is open round-the-clock or authentic seafood cuisine in our Dragon Palace. 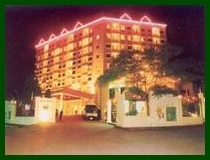 The hotel features 101 guest rooms, including 3 Suites. This post-modern style hotel is designed to reflect Vietnams rich historical heritage and yet offers all the modern conveniences and facilities. All rooms face the bay. Families of four are recommended two connecting rooms Halong Heritage offers 101 rooms. 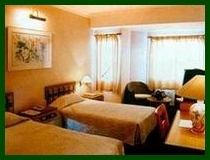 All rooms are equipped with satellite TV, mini bar, refrigerator and IDD telephone system. The Deluxe rooms offer the conveniences of tea & coffee making facilities and the Suites have in addition a dining/sitting room and kitchen. 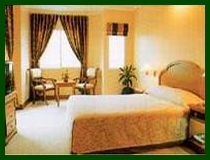 The rooms are large in size and well equipped with sanitaly fitting to ensure you a pleasant stay.